The Gamma RZR Tac replacement grip has a thin tacky construction that provides you with a superb handle feel and an excellent feedback. This firm replacement grip quickly wicks moisture improving comfort while playing and ensuring a secure grip. 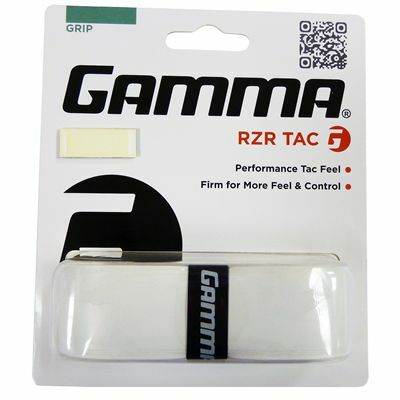 for submitting product information about Gamma RZR Tac Replacement Grip We aim to answer all questions within 2-3 days. for submitting product information about Gamma RZR Tac Replacement Grip. We aim to answer all questions within 2-3 days. If you provided your name and email address, we will email you as soon as the answer is published. for submitting product review about Gamma RZR Tac Replacement Grip.